NASA is working hard on PUFFERs (Pop-Up Flat Folding Explorer Robots) which, I'm sure, has some sort of good scientific intention. As we know, the road to hell is so paved. 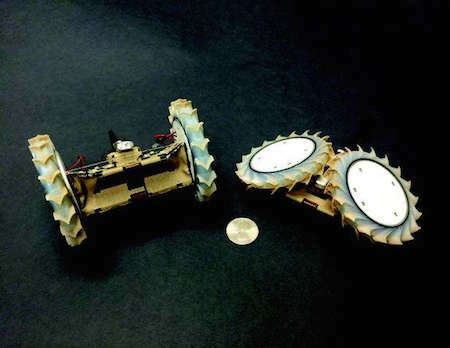 PUFFERs (Pop-Up Flat Folding Explorer Robots) utilize a folding printed circuit board (PCB) as the rover chassis, which enables the platform to fold into a minuscule, palm-sized volume. 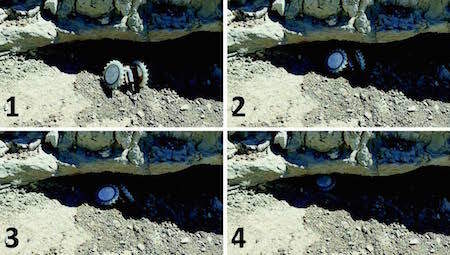 With this feature, many PUFFERs can be integrated into future spacecraft or packed into Earth science experiments at low cost. The multitude of PUFFERs would then be used to carry out science investigations that specifically require a distributed, multi-unit approach, such as entering cave formations on Mars or conducting spatially-distributed topographic mapping of ice on Earth. In addition to small packing volume, PUFFER's folding chassis provides unique mobility benefits; PUFFERs can collapse into a low-profile "crouch" to crawl beneath tight terrain features, such as overhung rocks, and to lower their center of gravity for ascending steep inclines. 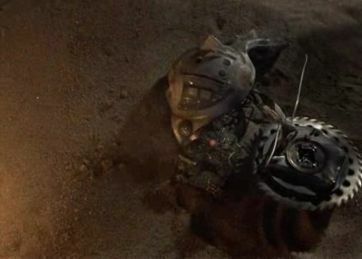 The highly-flexible origami-inspired chassis also provides impact-absorbing capabilities, allowing PUFFER to survive great falls.